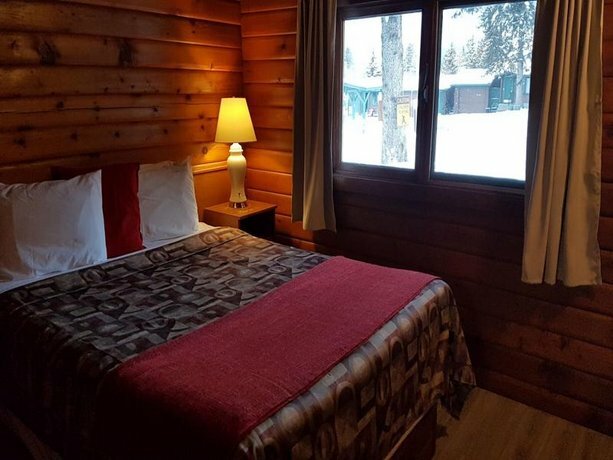 This property is located within a 2-minute drive of the Trans-Canada Highway and is well located for guests who are looking to explore the town of Canmore and surrounding attractions. 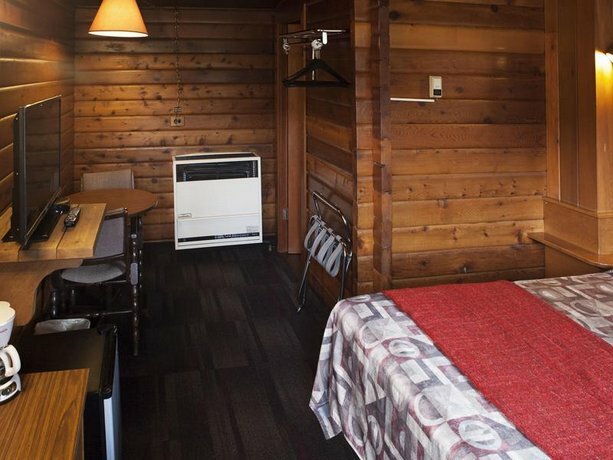 This property offers a variety of accommodations that include motel-style rooms and two-room log cabins. 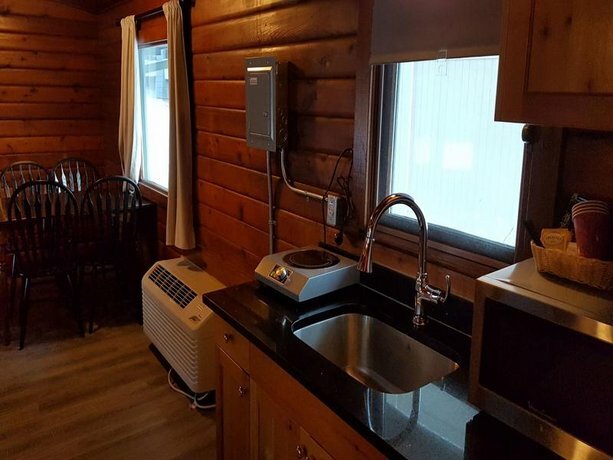 All units include free Wi-Fi, a TV, a hair dryer, a mini-fridge and a microwave. 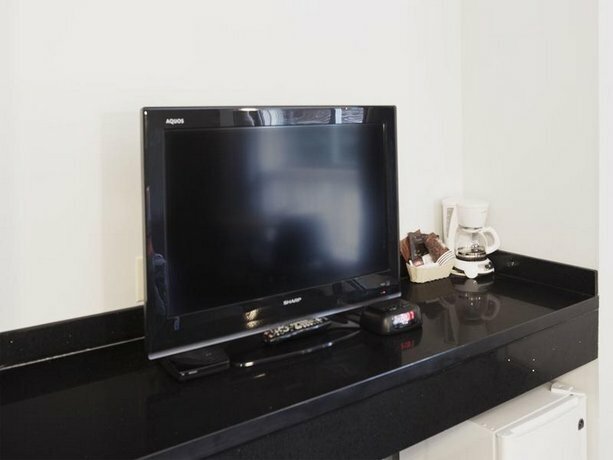 Standard rooms are furnished with one or two queen beds and select rooms also include a kitchenette. 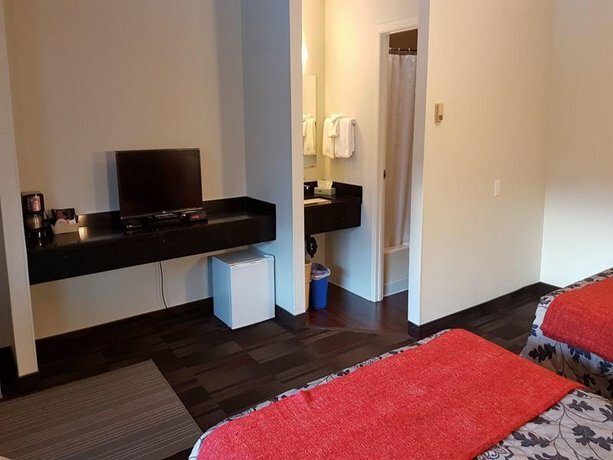 Some suites also offer a jetted tub, a king bed, a gas fireplace, a DVD player and bathrobes. 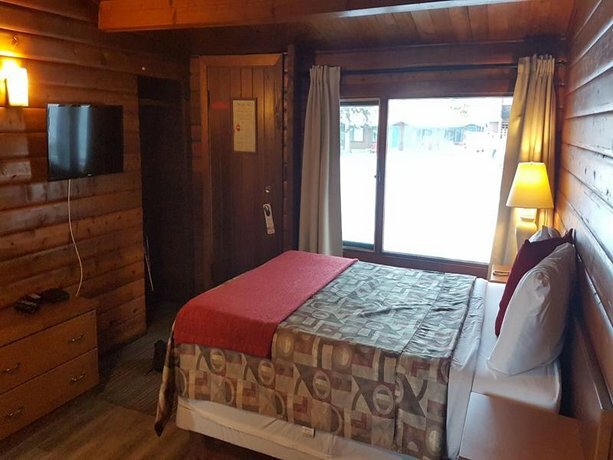 The two-room log cabins are furnished with one queen bed and many of these cabins also include a full kitchen. 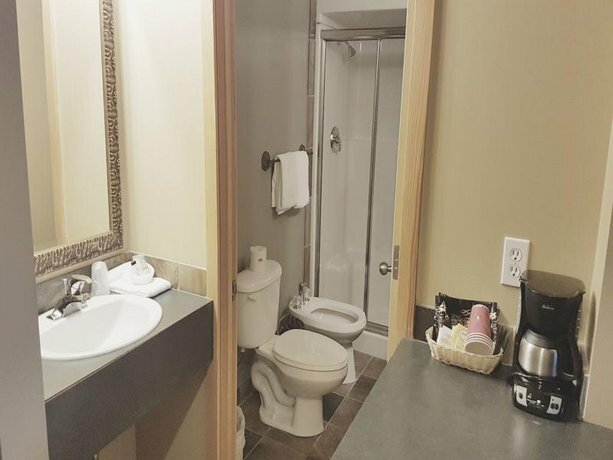 Bi-level condo suites are also available for guests in need of more spacious accommodations. 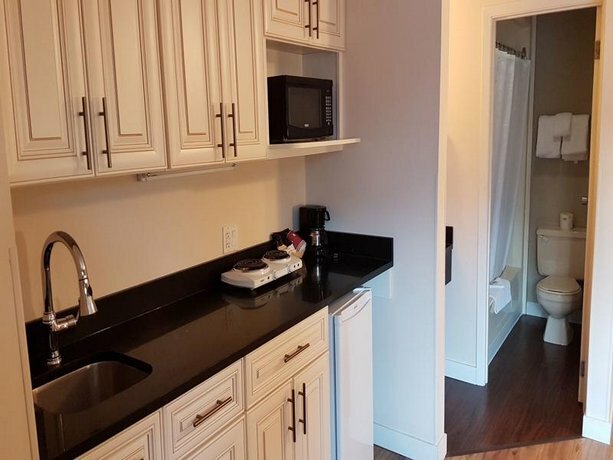 These units are equipped with a full kitchen, a gas fireplace, a queen-sized pull-down bed, two bathrooms, two queen-sized beds in two separate rooms on the upper floor and three TVs. These rooms accommodate up to six people. Free parking is available on site and pets are permitted in select rooms for an additional fee of $20 per stay. The motel-style building has two floors, exterior corridors and no elevator. 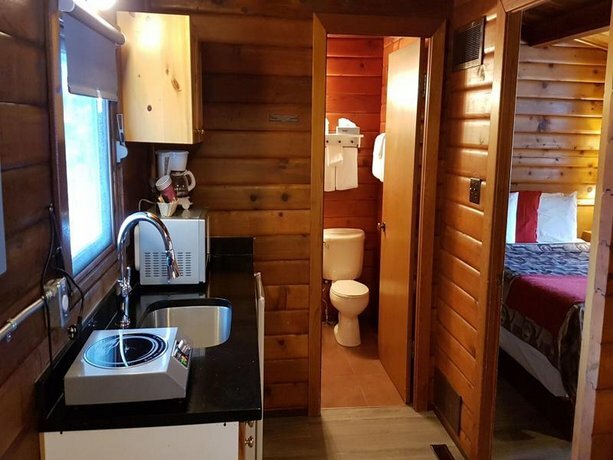 This hotel does not offer on-site dining. 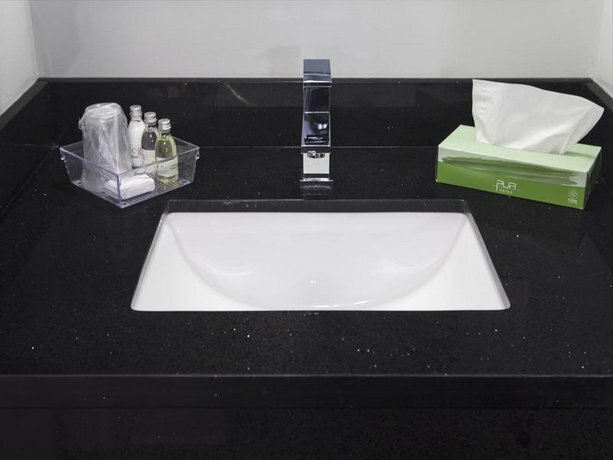 On-site amenities include an indoor pool, coin-operated laundry machines, meeting rooms, a common BBQ area, a fire pit and a playground with picnic area. One of the meeting rooms has an optional adjacent kitchen. The city centre of Canmore, which features boutique shops, restaurants and nightlife, is 3 minutes away by car. Elevation Place, a recreational facility with rock climbing, aquatics centre, child care services and an art gallery, is a 4-minute drive away. Canmore Golf and Curling Club is a 1-minute drive or 11-minute walk away, while the Stewart Creek Golf Course is 8 minutes away by car. Verified by a front desk agent on April 30, 2013: Pet policy. Among the reviews used for this analysis, many guests described disappointing experiences at this property. However, a couple of guests were happy that this hotel accepted pets ($20 per stay), while a couple of other reviewers enjoyed the on-site pool. 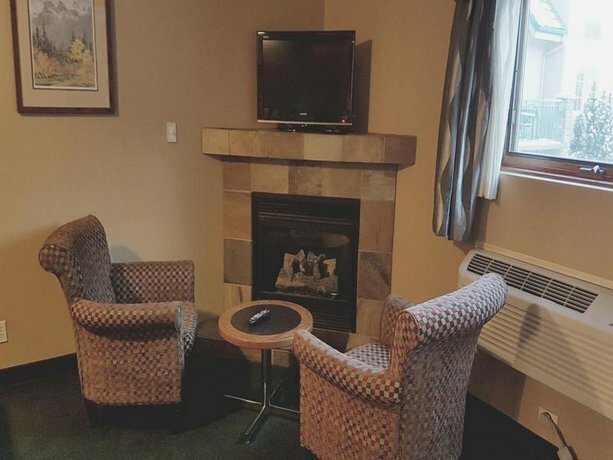 While several guests thought that the room rates were reasonable or budget friendly, several reviewers thought that this hotel did not offer good value (see below for more details). 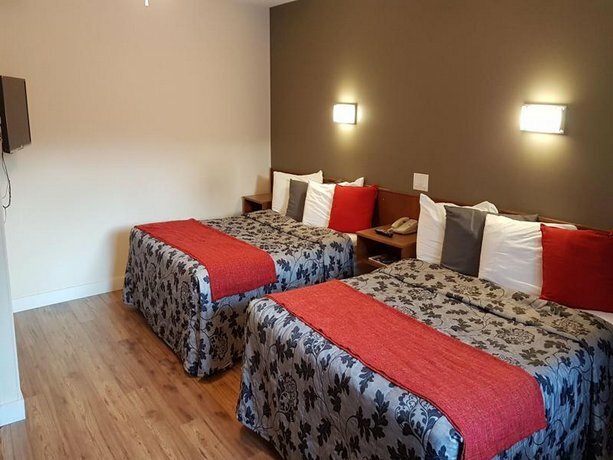 A few reviewers complimented the staff for their helpful and welcoming service and a couple of guests described their rooms as clean. However, many guests expressed concerns about cleanliness and a few reviewers were not happy with the service they received (see below for more details). Guests seemed most unhappy about cleanliness inconsistencies, among the reviews sourced for this editorial. 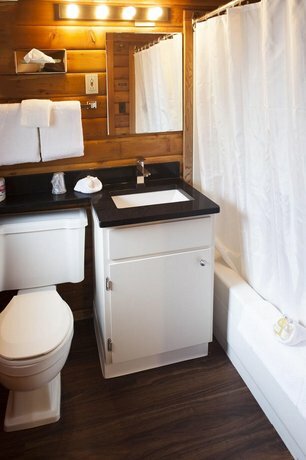 Reviewers described dirty bathrooms, stained bedding, unclean floors, dusty surfaces, dirty walls, broken chairs, dead bugs on the window sills and stained furniture. One guest said that her room was "dirty beyond words", while another reviewer described his room as dark, dirty and rundown. Several guests agreed that the furniture and appliances were dated and in need of upgrades. Several reviewers specifically mentioned that the climate control units were ineffective and that their rooms were uncomfortably warm. A few reviewers noticed an unpleasant odour in their rooms, while a few other guests found their beds uncomfortable. 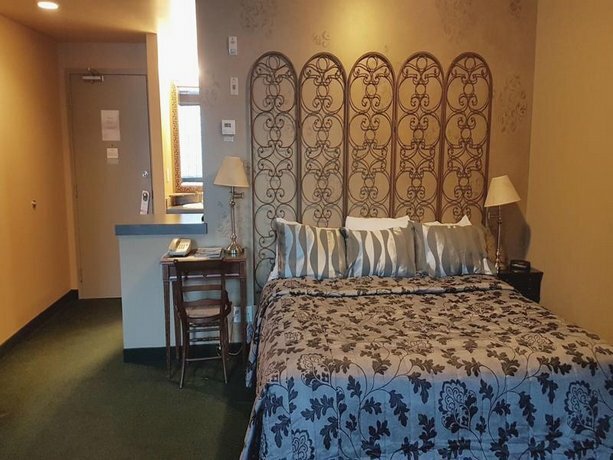 Several cited the condition of their rooms as the reason they thought that this hotel did not offer good value for the money they spent. A few guests complained that the staff seemed disinterested and unresponsive to guest concerns. A couple of reviewers were disappointed that the hot tub was not in working order for the duration of their stays, while a couple of other reviewers complained about hearing noise, including conversations and partying, from neighbouring rooms. 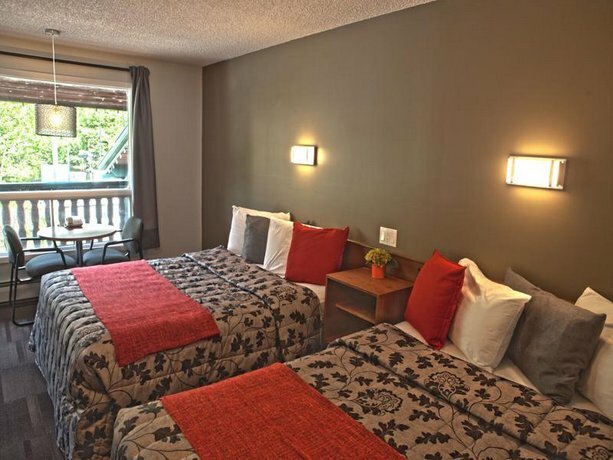 Expedia.ca gave this hotel an average score of 2.9 out of 5, with 73% of 230 guests recommending the property. 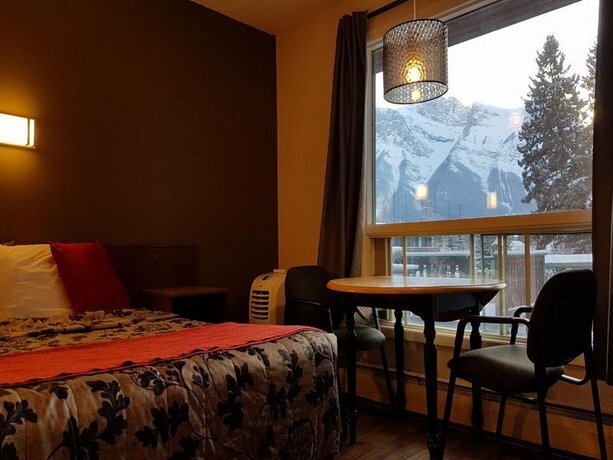 TripAdvisor.ca ranked this hotel #16 out of 18 specialty lodging in Canmore with an average score of 2.5 out of 5, from 55 reviews. The author called the hotel on April 30, 2013 to verify some information. 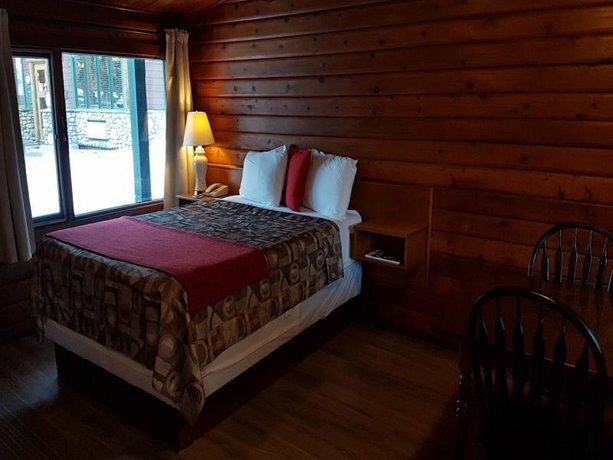 The average guest rating for Rundle Mountain Lodge is 5.8 out of 10 based on 2400 reviews from past guests. 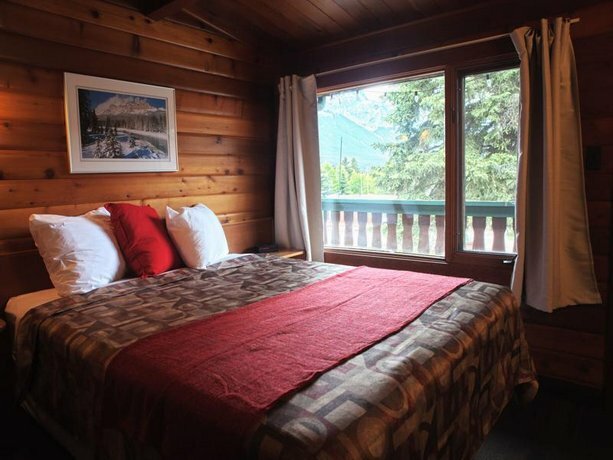 This average guest rating ranks Rundle Mountain Lodge at #34 out of 34 hotels in Canmore.